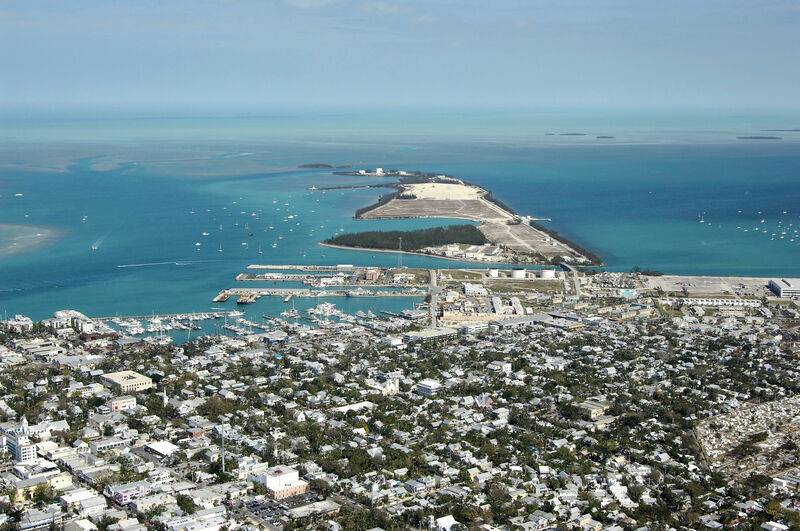 Frequently invaded by foreign countries and pirates throughout history, today Key West is a resort town that hosts over 3 million visitors each year. Popularly known as The Conch Republic, Key West residents are famous for their laid back and somewhat raucous way of lifting their noses at the rest of the world and just doing things their way. 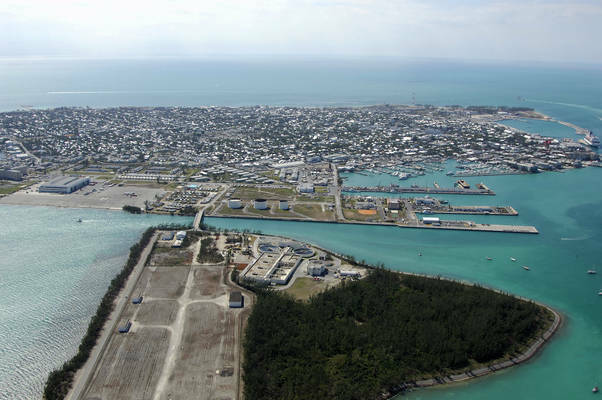 Aside from the wealth of activities, you can enjoy the local waters (fishing, sailing, parasailing, exploring), Key West has set itself up with an excellent downtown area that is loaded with excellent restaurants, shops and of course, bars. The passage into Key West is most often approached from the southern terminus of the Atlantic Intracoastal Waterway near Mile 1240 (thats a long way from Norfolk, VA, for those who are counting). Passing along the southern end of Key West on the ICW route, you will first plot a course for quick flashing red buoy 12, which is about one mile south of Fort Taylor on the southern end of the island. Once you have picked up quick flashing red 12, turn north and pick up the Cut A Range that shines from Tank Island, and then follow in flashing green buoy 13, quick flashing red buoy 14, and flashing green buoy 15, where you will make another slight turn, this time to the northeast where you will line up with the Key West Harbor Range. While large cruise ships primarily use these ranges, they are a helpful aid to keep you on course and inside the channel. Flashing green 23 marks the midway point along the Key West Harbor Range off Mallory Square. 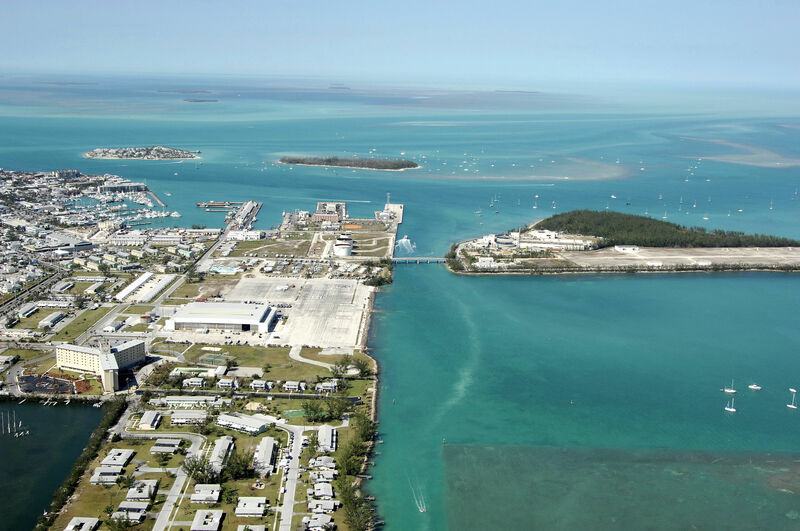 About a quarter mile farther on, you can turn into the Key West Bight Channel where the majority of the Key West marinas are located. There are four marinas in Key West Bight, but only one of them officially has slips available for transient guests. 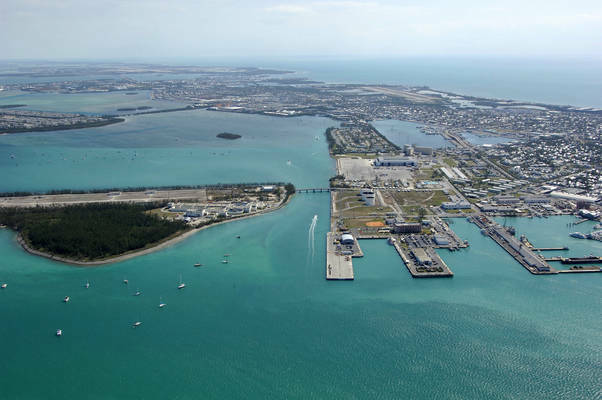 If the primary marina is out of slips for the night, you can check with the other facilities, or alternatively, head up and around Fleming Key, and then south to the backside of Key West where there are more marinas in Garrison Bight. Anchorage is available on the east sides of Wisteria and Tank islands, but boaters should be advised that most of this area is wide open to the weather and boat wakes can be bothersome. Downtown is just steps away from Key West Harbor. Make sure to take full advantage of the great shopping, restaurants, and bars during your stay. A must see event while in Key West is the nightly sunset gathering at Mallory Square on the southern end of the island. Just before the sun goes down you can view a myriad of live street performances including magic shows, singing and yes, a man whose cats do tricks on commands, even jumping through flaming hoops. Many people flock here to try and see the green flash, an atmospheric anomaly that occurs just as the sun is setting. Otherwise, people are content to cruise the beaches, enjoy the shops, fish local waters and just relax. The Key West International Airport offers connecting jet and turboprop service to connecting airports, many of which connect through Miami International Airport. Getting around Key West is otherwise easy. You can walk in and around the downtown area on foot very easily, or flag down a cab for longer expeditions. Not long after Christopher Columbus reached the New World in 1492, adventurer Ponce de Leon and fellow Spanish chronicler Antonio de Herrera set sail toward Florida in search of the elusive Fountain of Youth. They never found the Fountain but they did find the Florida Keys. The day was Sunday, May 15, 1513. The U.S. Navy, which had driven off the pirates a century earlier, came to the rescue again in the 1940s by turning Key West into a submarine base. In 1949, shrimp were harvested commercially in the Keys for the first time. They quickly earned the nicknamed pink gold. Tourists finally began to come in earnest. Today, more than three million visitors arrive each year. No reviews yet! Be the first to write a review of Key West.